There is a tiny cemetery in the middle of the Indiana University campus next to the Beck Chapel. Only a couple of dozen people are buried there. 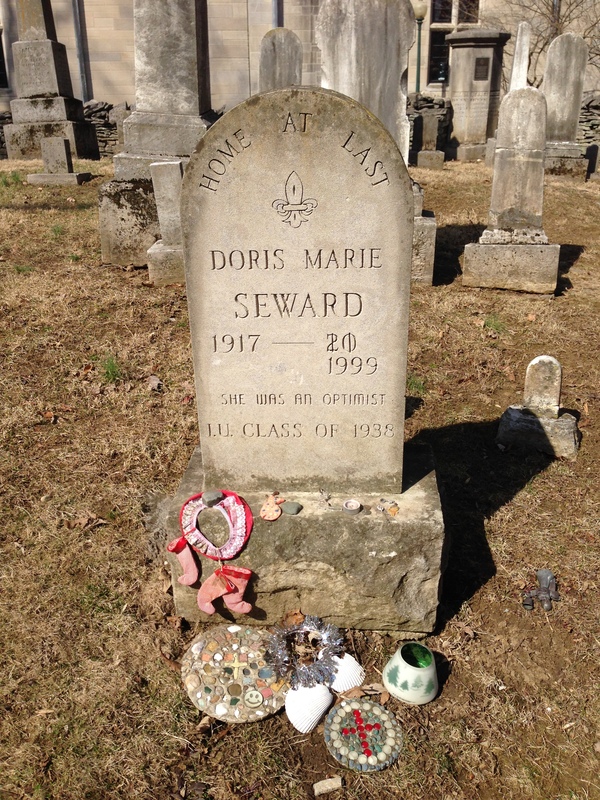 One gravestone of note, is for Doris Marie Seward, whose epitaph describes her as an optimist. Indeed, her gravestone carver believed she would live into the next millennium, first carving 20, the beginning of 2000 with the death date to be filled in later. She did not make it and the 20 was crossed out for her death year of 1999. She almost made it. There’s no “white-out” for mistakes in granite! I wish I had written that line! Her tombstone looks older than 15 years. I laughed at this one. Ultimately, we are all optimists, at least for a while. Funny stone. Who’s the better comic, the carver or the corpse?